A new report claims mines in the Hunter Valley are having adverse impacts on ground water, adding to salinity, and threatening agricultural land. The report, commissioned by the Lock the Gate Alliance, recommends a string of new restrictions “to restore the balance and ensure that the increasing dominance of the coal industry does not push agriculture and horticulture beyond the brink and out of the Hunter altogether”. 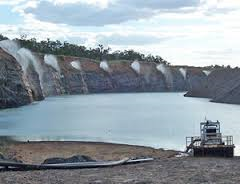 It found mines in the Hunter used 88.5 billion of water last year, with this predicted to increase to 133 billion if new and proposed mines are developed. 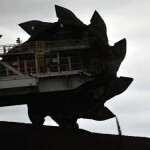 It said coal miners owned entitlements to 143 billion litres of water while also having a 55 per cent share of all “high security” shares of the Hunter River. “Miners have effectively driven up the price of water in the Valley, making it the most expensive water in NSW with Water Access Licences consistently traded at over $2,000 per megalitre,” the report stated. Lock the Gate’s Hunter Regional Coordinator Steve Phillips said coal mines in the region were also responsible for increased salinity. 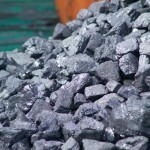 "Coal mining is increasing salinity in the region by mining coal seams in saline aquifers and then discharging mine-affected water into the rivers and streams,” Phillips said. Phillips said the report is proof that there was a need to “restore balance” in the region and claims current policy settings were putting highly productive groundwater at risk. "While householders are carefully conserving water through shorter showers and farmers are destocking their land to cope with drought, coal mines are using huge amounts of clean water to wash coal, and are cutting open aquifers, drawing down riverbeds and leaving behind huge open voids that will continue impacting on groundwater for generations to come, long after the coal has been exhausted,” he said. 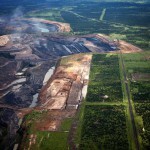 Key recommendations in the report include no-go zones that exclude coal mining within two kilometres of productive groundwater sources and agricultural land, no approvals for coal mines that will increase salinity in Hunter water sources, and rehabilitation that will see open cut voids filled once mining has ceased. The NSW Minerals Council has defended water use by miners in the Hunter, stating it’s no surprise that an anti-mining group commissioned the negative report. The council said that mining in NSW only accounts for 1.5% of the state’s water use, compared with 49.2% used by agriculture. “The majority of the water used at mines is lower quality water not suitable for other uses such as agriculture. And mines recycle and reuse water onsite, so they're not competing for higher quality water,” the council stated. “Mines must be licensed for any water they use, just like all other water users, so they're subject to the same restrictions and the same controls as other users. “If this report was indeed authored by a former Greenpeace campaigner then further questions should be asked about its findings and recommendations. Some of the author's findings indicate they may be unfamiliar with mining and water regulation." 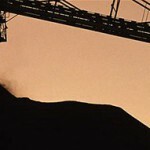 The Minerals Council's Director of Industry and Environment, David Frith, said mining was a significant economic contributor in the Hunter Valley, so it was not surprising it held a reasonable share of water entitlements in the area. "But as the (report) authors point out, the majority of water rights, in fact 77 per cent, are held by other water users in the region. "I think that's an important point to realise," he said.